Anyone who has managed to get a little further than a simple “Hello World” tutorial in Python will have had some experience using a python library. Libraries offer us a suite of pre-made functions and features and save us from re-inventing the wheel. Without them, we would need to build everything from scratch each and every time we want to write something new. After all, if you were building a house, you wouldn’t want to go through the hassle of forging your own bricks. Instead, you would buy them ready-made so that you can get on with the much more enjoyable task of constructing something new. Note: Technically, the correct name is a module. However, Library is often used interchangeably. 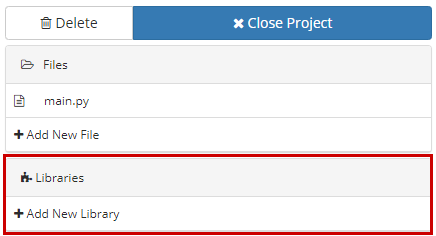 For the sake of this post, we will use the term library as that is the term used inside the QuantConnect online editor. We are able to use two types of library on QuantConnect. The first is a series of white-listed official and 3rd party libraries. These are the type of library you would usually install with pipand importinto your script. The second type is a user-created library. In a pure python environment, there would be little difference between how you handle the two. However, since QuantConnect is a cloud platform, there are some limitations as to what libraries we can use. Furthermore, there are some additional steps we need to go through in order to utilize our own library. As you might guess, this imports the popularpandaslibrary. Since importing and utilizing white-listed package is no different from regular python, this post will not discuss these any further. 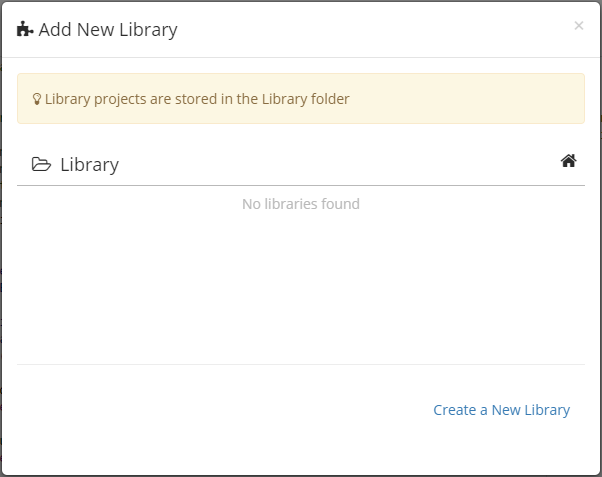 Instead, the main focus of this post will be to take a look at user-created libraries. We do this via the option on the project pane that allows you to “Add New Library”. Some beginners might be confused into thinking this button allows you to add a library in a similar manner to using pipon the command line. It does not. This is the place to re-use your own code, save yourself some copy/paste time and, more importantly, ease maintenance of the same code snippets across projects! This post doesn’t end there though. The process of doing this is currently a little fiddly and is therefore ripe for a step by step guide. No libraries are found because you have never created one! Click on the “Create a New Library” button in the bottom right and it will produce the following template code for you to use as an example. ### to name the file the module you'll be importing (not main.cs). The library provides two simple functions. Adding and subtracting. It is a purposefully basic example to show the general concept. You will also notice that the name of the file we are working on has changed. This is because we are now editing the library project and not your algorithm anymore. Next, close the Basic Library Template (Py) project. There is no need to edit it as we will just use this example code for now. Upon closing the library, you might notice that a new folder namedLibraryhas been automatically created inside your home folder. This folder will contain all of the libraries you create now and in the future. Now that we have created a library, we can import it! Create a new classic algorithm (if you are unfamiliar how to do this, see here.) or load up one of your other projects. Once loaded, click on “Add New Library” again. This time, you will notice that our Basic Library Template is contained in the list. Click on it to import it. The first thing you will notice now is that we have two files in the project both with the title main.py! This will cause an error with the compiler because we cannot have two main.py files. As such, we must rename the main.py of the library. When doing this, make sure you do not rename both of them. If you rename both, you will get another error. This is because the project must contain at least one main.py file. 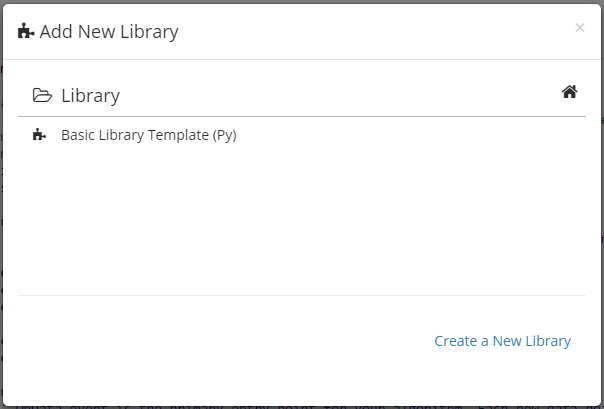 As it can be a bit confusing which of the two files to rename, the easiest way to rename the library is to close the project and then reloadBasicTemplate Library Template (Py). Remember it will be located inside the newly created Library folder. After it is loaded you can then hover over the main.pyfile on the left pane. Rename the file to something else. I chose BLT.py (An acronym, not a sandwich!). After renaming the file, you can reopen your main project and you will see that the file has been renamed. And now we are ready to rock and roll. If you do that, you will receive an import error. Instead, we will actually import using the filename we just edited. I.e. This means even if we didn’t edit the file name, you would still receive an error following the guidelines in the comment because the name of the file before was main.py. That point is moot though as we can’t even compile the code with two main.py files. The hard bit is over! Now we have the library imported, we can create a simple example algorithm to make use of the Subtract()function from the example library. In the example code above, we instantiate the library. I.e. We create a new object called x from the BasicTemplateLibrary class blueprints. After this, we can then use x to access the function Subtract()method. Finally, we log the results returned from this method just to ensure it is working correctly. Then you would import and use it in a similar manner. However, this time around, you would import the function directly and there would be no need to instantiate a class first. Second note: In this example main.pyof library was renamed to SimpFunc.py instead of BLT.py. Finally, now that we have everything in place, you can run the script and check the output. After doing this, you should be able to check the log file and see that we are subtracting the highfrom thelowon each bar. 2013-10-07 00:00:00 Launching analysis for 3e3d545143a85e32cefda07482710e53 with LEAN Engine v2.4.0.0.5335 2013-10-08 00:00:00 >> High: 152.5560687 Low: 151.4692935 | High - Low: 1.0867752000000053 2013-10-09 00:00:00 >> High: 151.80438252 Low: 149.75762256 | High - Low: 2.046759960000003 2013-10-10 00:00:00 >> High: 150.5183652 Low: 149.00593638 | High - Low: 1.5124288199999967 2013-10-11 00:00:00 >> High: 153.28964196 Low: 151.45118058 | High - Low: 1.8384613800000125 2013-10-12 00:00:00 >> High: 154.24962672 Low: 152.84587542 | High - Low: 1.4037513000000104 2013-10-12 00:00:00 Algorithm Id:(3e3d545143a85e32cefda07482710e53) completed in 0.49 seconds at 0k data points per second. Processing total of 6 data points. 2013-10-12 00:00:00 Algorithm Id:(3e3d545143a85e32cefda07482710e53) completed in 0.49 seconds at 0k data points per second. Processing total of 6 data points.